In the summertime, Seattle has enough festivals to fill just about every weekend and pique just about every interest, whether it’s food, music, crafts, or beer. Take advantage of sunny weekends and the city’s diverse culture with these upcoming festivals in July. Seafair Summer 4th Enjoy Independence Day Seattle style at this day of fun at Lake Union at Gas Works Park. Seattle is considered to have one of the nation’s best fireworks shows by USA Today and Business Insider. Enjoy live entertainment and food vendors and exhibits and All-American Games. Admission is free. 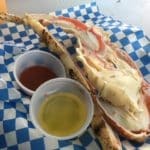 SeafoodFest July 13-15 The Ballard Seafood Fest takes advantage of Seattle’s close proximity to the water and its amazing fresh seafood. The event fits right in in Ballard thanks to the district’s history as a fishing and maritime community. As always, the SeafoodFest features its specialty alder smoked salmon dinner, and has a huge variety of local restaurants, seafood and otherwise, to choose from. To make the fest even more fun, the Ballard BeerFest hosts a beer garden right next to the main stage. You don’t want to miss out on this taste of the Pacific Northwest! Seafair Milk Carton Derby July 14 This unique event features the creativity of Seattle residents and happens at Green Lake Park, 5 miles north of downtown. Master craftsmen and amateurs alike create milk carton vessels to race in the derby, and the most creative boats win the Celebrate Creativity Award. The racers enter in the youth, general, and military categories. Spectators can stroll along the water and visit interactive booths and munch on food from vendors while cheering on the crowds. Bite of Seattle July 20-22 Voted “Best Food Festival,” The Bite of Seattle takes place near the Space Needle at Seattle Center and features over 60 restaurants and vendors offering “bites” and small plates of their signature dishes. It is a foodie paradise! Enjoy live music, outdoor beer gardens, craft beer and cider tasting, and live cooking demonstrations too. No admission fee.